Hard and soft luggage options such as panniers and saddlebags are great for those of us who ride cruisers and big sports tourers, capable of lugging half of the contents of your house with you as you travel cross country. But what about those of us who ride motocross, supersport or even naked motorbikes that just don’t have the same integrated luggage options? Some opt for a snazzy little tank bag, capable of holding your wallet and a mobile phone if you’re lucky, but again not really an ideal solution for those who commute. Which is why we have the motorcycle backpack or rucksack, specifically designed for carrying your essentials when out and about on your motorbike. In fact, some of these backpacks are even large enough to carry an adult sized motorcycle helmet. There is a motorcycle backpack out there for all occasions so we’ve taken the time to review the best on the market, leaving you to just pick the one most suitable for your needs. 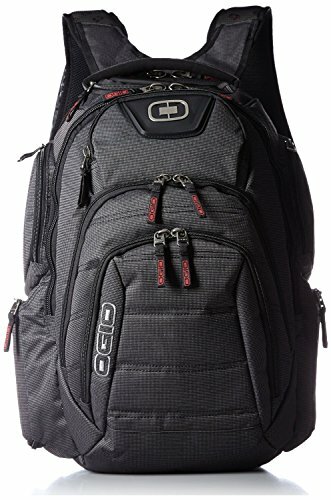 You’ve probably heard of them – OGIO are a giant in the backpack game. Providing great luggage options for other pursuits has allowed them to really dial down what works and what doesn’t, which is why their motorcycle backpacks are the best on the market. The Mach 5 is their top of the line model. What you’ll notice first is the design ethos which has gone into its construction – aerodynamics is the name of the game here with the Mach 5 looking like an extension of your body when in the tuck position on a sports bike. The construction of this model is water resistant rather than 100% waterproof which should be enough for all but the worst of weather conditions. If you are carrying electronics, we would suggest a waterproof liner or small zip bag to put them in. On the subject of electronics, you’ll find enough space inside to fit a 15” laptop as well as its power supply AND every other item you could find yourself needing at the office. Motorcycling related design features include specific pockets for visors and purpose made motorcycle gloves as well as a quick release strap to help you take it off when you’re fully geared up. The section which sits against your back is also padded, which in conjunction with the Mach 5’s light weight makes for a comfortable ride. Best of all, OGIO stand by their products and will happily replace your backpack if it is damaged through no fault of your own during the warranty period. Seibertron are a great producer of no frills motorcycle backpacks which may not look like much but make great value for money. The 37L is no exception – as the name suggests you are getting an absolute ton of space here which will be enough for most of your motorcycling gear as well as whatever you need at your destination. The design isn’t particularly streamlined or pretty but it is functional. The materials used for its construction include a 900D polyester outer shell which is going to provide great abrasion resistance if you crash as well as a decent level of water resistance. Do bear in mind that electronics should be in a separate waterproof bag that you can place inside this backpack, just in case. If you need as much capacity as possible then look no further than this Seibertron. 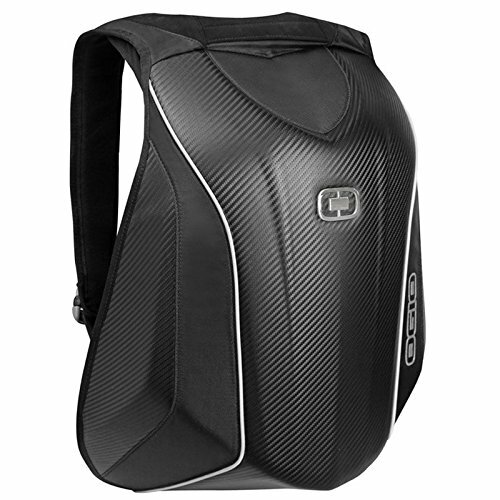 OGIO have done it again, the Renegade is THE backpack to have if you regularly need to carry a laptop when on your motorcycle. What you’re getting here is a dedicated laptop compartment that is capable of securely holding a 17” laptop, which in case you didn’t know is the biggest you could buy. What separates this one from the rest is the fact that the compartment itself is reinforced with what is referred to as a crush proof tech vault. Anything electronic that is important or valuable to you should be in this compartment as it is here that it will be the most protected. Foam panels line the compartment and you even get a padded pocket for your tablet or smartphone. Laptops add a lot of weight so you also get a specially designed back panel which is designed to be flexible and to allow the fully loaded backpack to sit against you properly when riding. We love it. If you’re a commuter or student then this might just be the one for you. 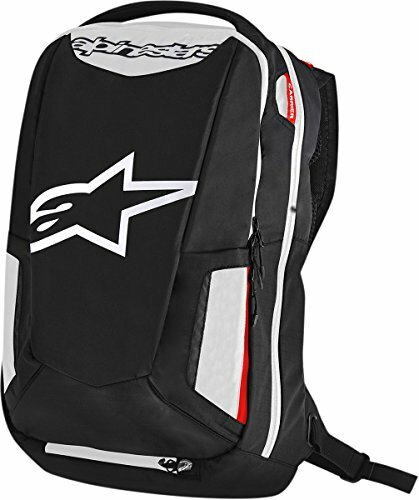 You probably thought that Alpinestars only made jackets and boots but you would be wrong in that assumption. They also make a mean motorcycle rucksack with the City Hunter being one of their best. Just looking at it, there are no features that really set it apart from any other typical backpack but as always, the devil is in the detail. The outer shell is constructed from a strong 420D nylon which is going to go a long way in keeping your valuables protected. The bottom of the bag has been reinforced further to prevent anything from falling out before you’ve arrived at your destination. Capacity on offer is 25L which should be enough for most people with plenty of space for a laptop and some textbooks for those students out there. Electronics even get their own special fleece lined compartment to add an extra layer of protection. We’ve all heard of SHOEI. That high quality manufacturer of helmets who go above and beyond in the quality stakes – well they too make backpacks. And the 2.0 is a good one. The number of pockets this thing has is amazing. Just take a good look at the photo and you’ll see what we mean. Shoei know motorcycles so everything you see is designed to be fully functional, from the type and position of the straps to specific pockets for visors and face shields. The 2.0 will even take a motorcycle helmet if you need somewhere to store it during the day as well as your standard laptop. We have heard reports of poor durability with some of the straps and zippers but our test unit has been fine for the period we’ve used it. 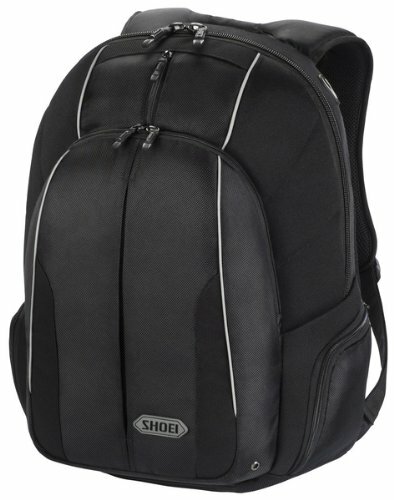 This backpack is priced very similarly to the City Hunter, the choice is left up to you as to which one you prefer. We realise that some of the models on test here aren’t cheap which is why we’ve included a budget option. Despite its low price point, the Commuter actually surprised us with a great feature set that rivals some of the higher end offers available. Available in several design colours, the Commuter takes a slightly different approach to design. What you have here is the presence of a single large compartment which is where the bulk of your stuff is going to go. There is so much space on offer that the carrying of a full size helmet is perfectly possible with room to spare. There is minimal padding throughout and the quality of construction isn’t quite up to the OGIO or SHOEI but we wouldn’t expect that. 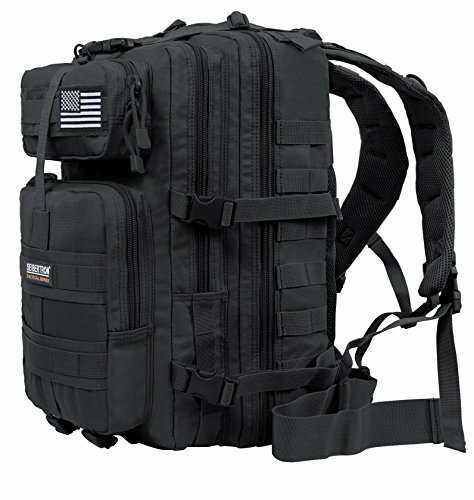 What you do get is a backpack that is more than big enough for most people and will likely last a good couple of years with the likely usage profile. We did have a few issues with the zips on our bag where they wouldn’t open or close properly which was annoying but with some perseverance it can be worked around. 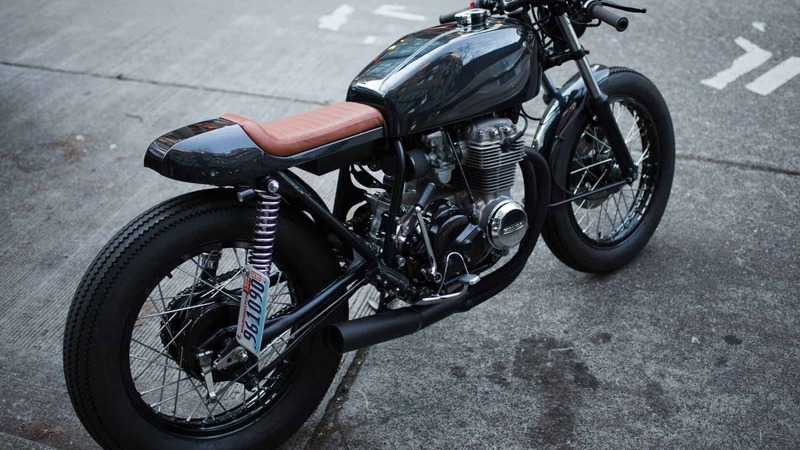 And there you go, a purpose built motorcycle-backpack to suit all tastes and budgets. Versality, practicality or style, the choice is yours. 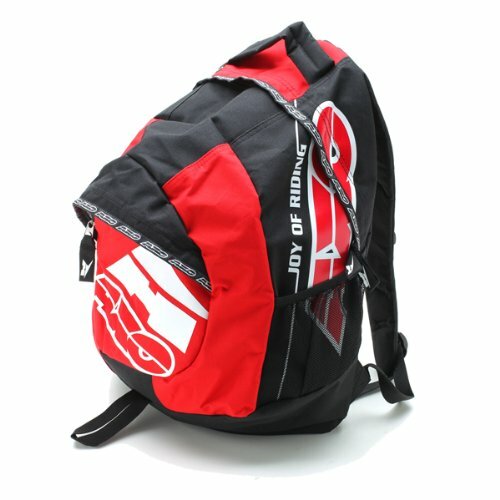 For more information, head over to Cycle World to see just how flexible these backpacks are. What is nice to see is that more and more motorcycling related products and gear is being released where before we had to make do with something designed for an entirely different purpose. The future is bright. We have published a variety of related articles on other motorbike accessories, many of which are perfect for storing within your new motorcycle backpack. We suggest heading over to our premium motorcycle helmet locks summary and picking up one of these great security devices and keeping it in your backpack when going for a ride.